JUST RELEASED IN MAY 2016! 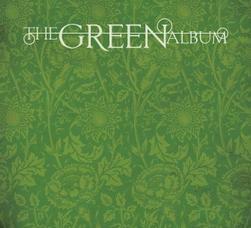 THE GREEN ALBUM is a collaborative concept album featuring Tuatha Dea, Wendy Elizabeth Rule, SJ Tucker, Sharon Knight, Winter Jp Sichelschmidt, Celia Farran, Bekah Kelso, Ginger Doss, Damh the Bard, Kellianna Girouard, Spiral Rhythm, Murphey's Midnight Rounders, Brian Henke, Mama Gina LaMonte and us! All the amazing artists presented either a brand new or never before released song specifically for this Album, the song themed toward the universal concept of "Green"